The annual event highlights the talents of the many renowned and emerging jazz instrumentalists & vocalists in the borough of Queens. 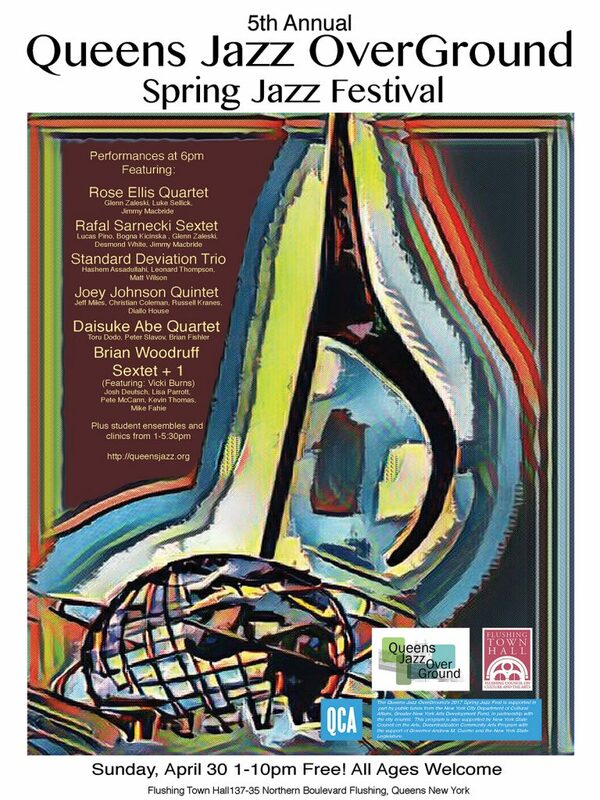 The day will include performances by student jazz combos, jazz master classes open to all students and aspiring performers, and middle school and high school student bands. 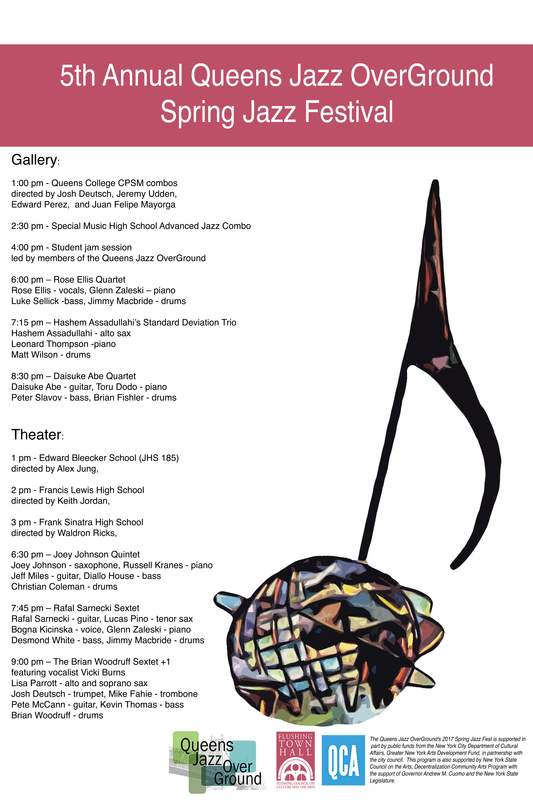 The evening will feature an exciting lineup of six professional Queens-based jazz ensembles. Audiences are welcome at all workshops and performances, which are free and open to the public. Master Classes – Members of the Queens Jazz OverGround will guide students in developing a basic jazz repertoire and then lead a jam session utilizing that repertoire. Open to all. Student Performers – Student big bands and small combos from Queens based schools will perform and participate in clinics with professional jazz musicians. Audiences are welcome at all performances and clinics.Evening Performances: 6:00 – 10:00 pmProfessional ensembles will perform overlapping 60-minute sets in the Gallery and Theater. For directions to Flushing Town Hall, visit http://www.flushingtownhall.org/visiting/directions.php . The Queens Jazz OverGround’s 2017 Spring Jazz Fest is supported in part by public funds from the New York City Department of Cultural Affairs, Greater New York Arts Development Fund, in partnership with the city council. This program is also supported by New York State Council on the Arts, Decentralization Community Arts Program with the support of Governor Andrew M. Cuomo and the New York State Legislature.